Metalworking fluids are an important part of your manufacturing process. Rochester Midland provides a wide selection of synthetic, semi-synthetic, and soluble oils that help to provide great finish and tool life. But, we go beyond simply providing metalworking fluids. 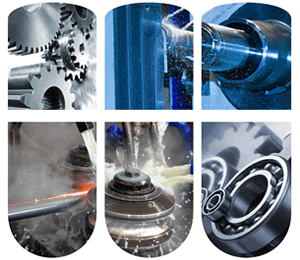 We provide complete programs for your manufacturing process to provide the best overall results. By handling your metalworking fluids, spray washers, and water treatment, we can develop the best programs for your productivity, safety and worker health. Contact us to learn more about our complete manufacturing facility programs.